Contrary to what you might think when watching the news, not all news these days is bad news. Acts of kindness like these remind us that humans are capable of unlimited generosity and goodness, even towards complete strangers. 1. Commuters work together to rescue a woman trapped by a train car. 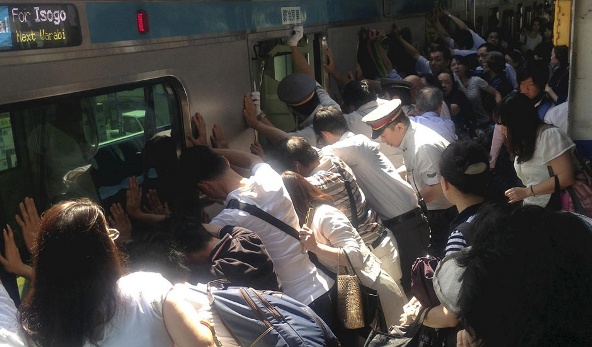 When commuters at the JR Minami-Urawa station near Tokyo, Japan heard the announcement that a woman was trapped between the train car and the platform, they didn’t hesitate to act. The crowd worked together to push the train car to bring the woman to safety. Their collective act of kindness saved the woman’s life—and as a bonus, the train was only delayed by eight minutes. 2. 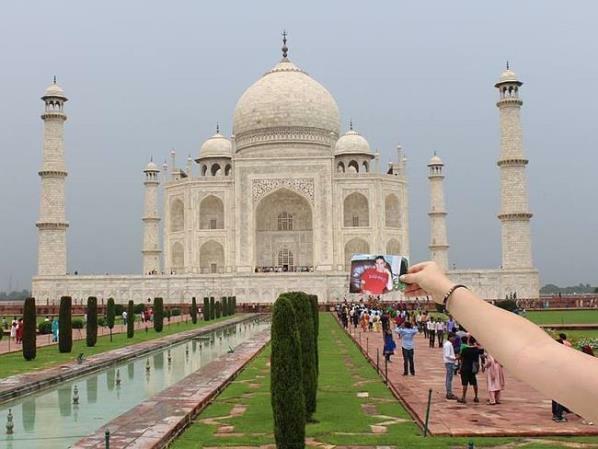 Strangers help a mother spread her son’s ashes around the world. Maine native Hallie Twomey’s son CJ loved adventure, but he never got a chance to see the world before he took his life. To give him the chance at one last journey, Twomey set up a Facebook page asking strangers to help scatter his ashes around the world, and the response was overwhelming. At his family’s request, CJ Twomey’s ashes have journeyed to 100 countries, and even into outer space. 3. A little girl cuts off her hair for kids with cancer. 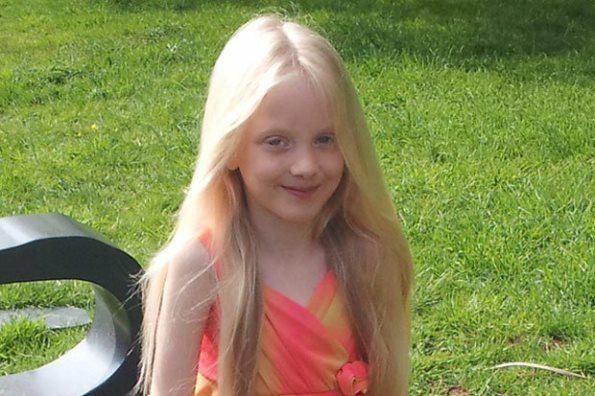 Before her haircut, six-year-old Charlie Tillotson of Sidmouth, England could have passed for mini-Rapunzel. Then, Tillotson watched a documentary about children with cancer. Even though she’d never had a haircut before, she asked her parents if she could donate her hair. Her small act of kindness—and her cute video requesting sponsors—raised over £1,400 for the Children with Cancer organization. 4. A man donates a kidney to a stranger. Now they’re best friends. Utah’s Scott Livingston wanted to give back to the hospital that fixed his children’s cleft palates, so he offered up his kidney. His act of kindness saved Marco Juarez’s life, giving Juarez the chance to see his 3-year-old daughter grow up. Now, Livingston and Juarez go on an annual “kidney trip” to celebrate life—and their friendship. 5. Stylist gives free haircuts to the homeless to help them find jobs. 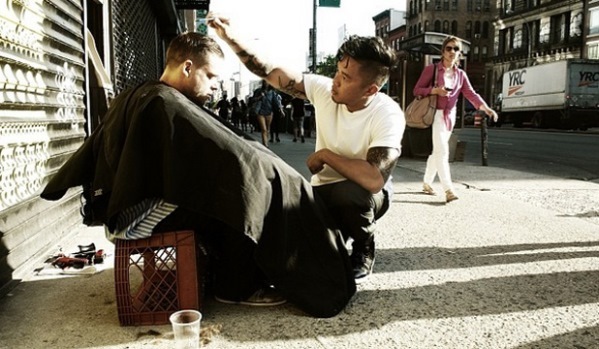 Stylist Mark Bustos spends his weekends helping NYC’s homeless look their best with free haircuts. 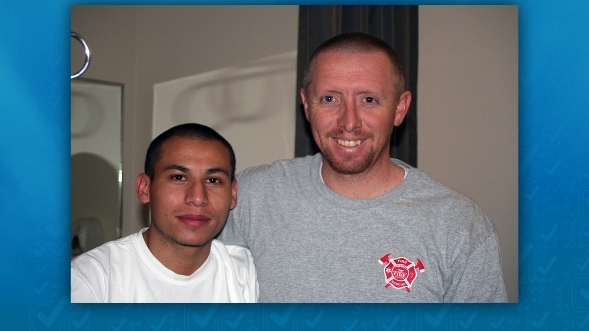 His haircuts go a long way towards helping people feel more confident about improving their lives. 6. 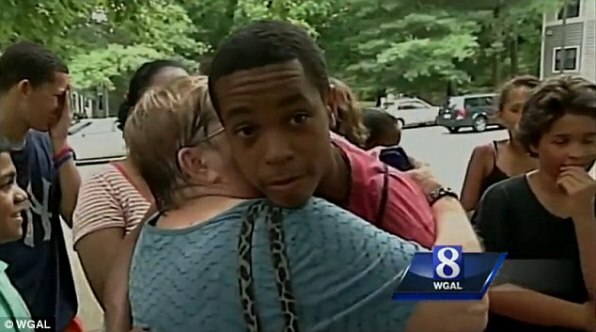 Teenagers rescue a 5-year-old girl by chasing the kidnapper’s car on their bikes. In Pennsylvania, 15-year-old Tamar Boggs and a friend were the first to spot 5-year-old Jocelyn Rojas, who had been kidnapped hours before. They followed the kidnapper’s car on their bikes, making him nervous enough to pull over and let Jocelyn go free. 7. Young man gives his life to save three children from drowning. 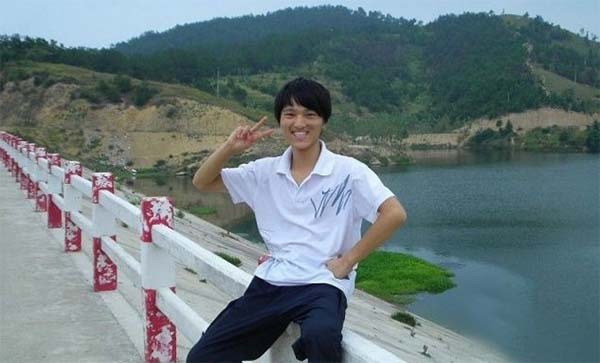 Cheng Changjiang posed for this picture just minutes before three children fell into a lake behind him in Xinyang, China. He waded into the water to save them—even though he didn’t know how to swim. With the help of another onlooker, he was able to save all three children before slipping under himself. His last act was one of incredible courage and kindness. 8. 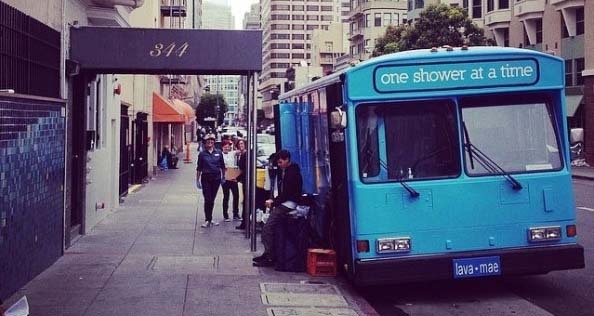 Group converts decommissioned bus into a mobile bathroom facility for the homeless. San Francisco-based nonprofit Lava Mae came up with this project after its founder heard a homeless woman cry that she would never be clean. This mobile bathroom facility has showers, clean toilets, and all the necessities for good hygiene to help return a sense of dignity to people living on the streets. 9. 91-year-old risks jail to feed the homeless—and got the courts to halt arrests of advocates. 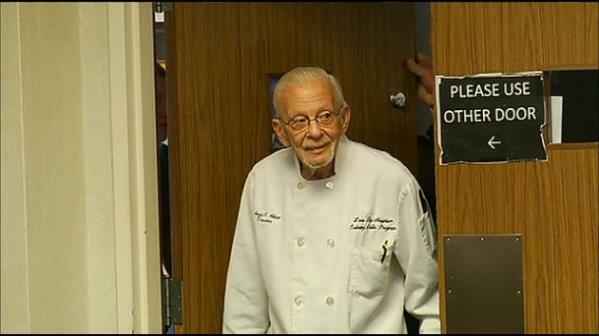 Nothing can stop South Florida’s Arnold Abbot from feeding the needy—not even multiple arrests and possible jail time. His dedication to the cause and the public’s reaction prompted Circuit Judge Thomas Lynch to order a 30-day stay on the law banning individuals from feeding the homeless, allowing advocates to continue their work while the stay is in effect. 10. Man starts mobile library to educate and inspire rural Pakistani children. 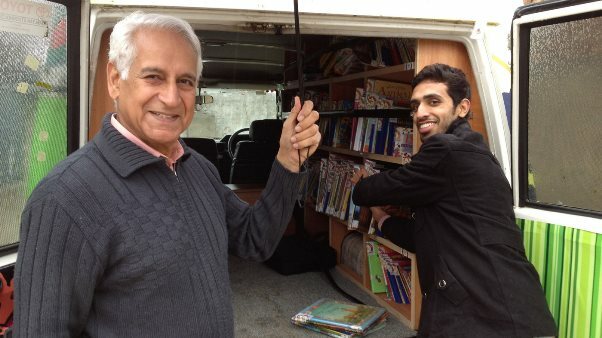 The neon green Bright Star Mobile Library in Islamabad, Pakistan, was started by Saeed Malik, a Pakistani expat who was dismayed at the state of education in his home country. Malik’s library helps these impoverished kids grow their imaginations, as well as their aspirations for the future. Has your life been touched by a random act of kindness—either one you received or one you gave? Tell us about it in the comments!